It’s the middle of December now and for some reason I keep going back to the feeling I had as I walked into my room and admired a huge wonderfully furnished suite full of light with an amazing terrace overlooking both the ocean and the lagoon, wow what a treat!! 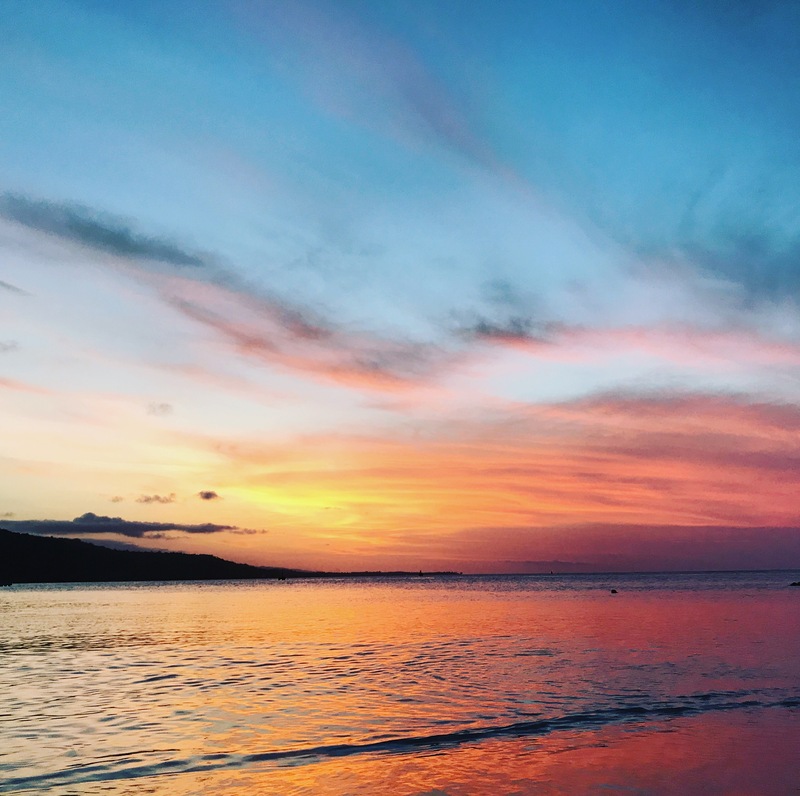 So finally I got enough inspiration to share my review of this great place on the Caribbean Sea, don’t you just love life at the beach? From top to bottom, this hotel offers what I like to call the Perfect Adults Only Luxury Experience. 1. The Property- The elegant minimalistic vertical design allows the property to make the most out of its narrow beachfront, but OMG is it a gorgeous beach! 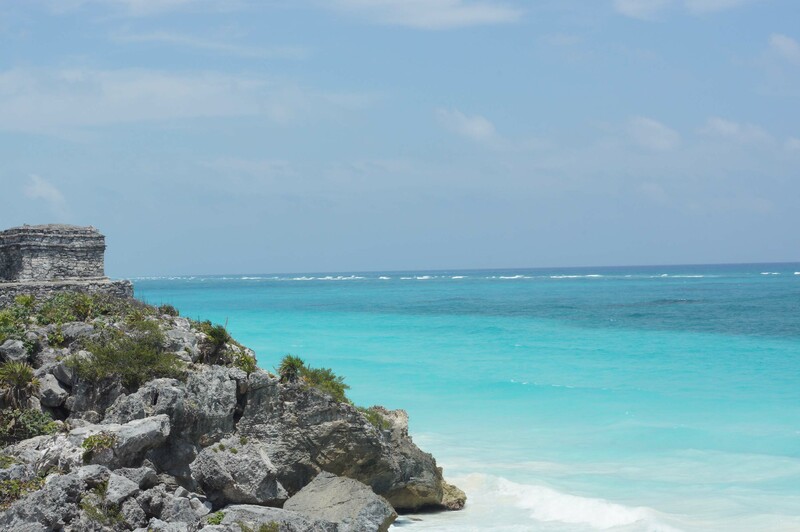 Long white sands that end in that emblematic turquoise clear water that becomes bluer as it gets deeper, whenever I think of the beach of Cancun, that one image I get is translated exactly in the way the beach looks from the hotel. 2. F&B- The options are great, of course a lot of variety and a good quality from the Buffet at Breakfast to the specialty options for dinner, my favorites were the Mediterranean—Olio— I really liked the menu (truly mediterranean); the Asian restaurant — Dragon’s—- also has many options (japanese, chinese, korean); Sea Salt Grill for Lunch (excellent service) and Market Café (Buffet for Breakfast), the omelette chef here is a gem!! cheers to her!! In room Dining- Excellent, The Vine Café and the Bars very nice, you never have to struggle for a good meal or your favorite drink at anytime. 3. The rooms- I could easily stay in the room and never come out, they are super modern, luxurious, well equipped, comfortable and just dreamy, I was lucky enough to experience a Master Suite so there was nothing more I could ask for, it became home from the moment I stepped in and I enjoyed it to the fullest, with a huge terrace overlooking the ocean for an unforgettable sunrise on the beach and windows everywhere for a romantic view of the sunset over the lagoon, free wifi and smartTV (Yay!! ), wooden furnishing, 2 bathrooms, 2 living rooms, dining room and entrance hall, it was just perfect!! 4. Activities- They offer a good variety from yoga, spinning, aquaaerobics to wine pairing daily, and the gym even though it is not too big it has a stunning ocean view that makes you want to stay and workout all day, the pool and beach are very comfortable and clean and they have good amounts of shade. 5. The people- What I love the most about AMResorts is their staff, I haven’t stayed in too many of them but it really feels very warm, and I can say I recognize it as an asset to that brand, memorable staff at the resort would be Laura at Concierge, she was just the sweetest and what I loved about her is she is authentically passionate about service, you can tell right away, she is genuine, caring, professional, patient, kind, eager to listen and to help, I could also tell she has great leadership so I hope she gets promoted soon! Jesus at Sea Salt Grill, very sociable, fun and full of energy, a driven man with clear goals, hopefully he will also get very far. And although I didn’t meet him I saw the manager around everyday in the areas making sure everything was perfect everywhere so cheers to that!! The only thing I felt I wanted and didn’t get was more time to stay there!! it is worth at least a 4 night stay to experience the variety of flavors and atmospheres and also I still need to visit the spa, hopefully next time. 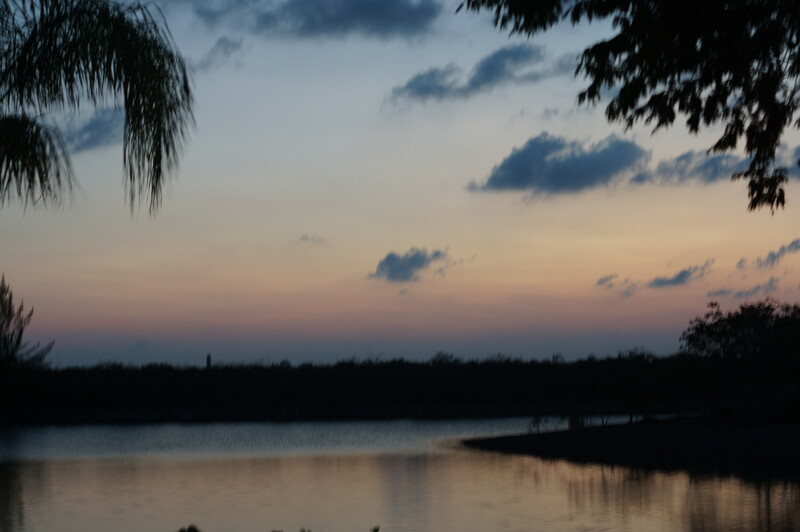 Choose this resort for a romantic getaway to surprise your partner, you will not regret it. For the longest time I had dreamed of seeing, sipping and savoring the world, after many years I have finally started this great adventure. 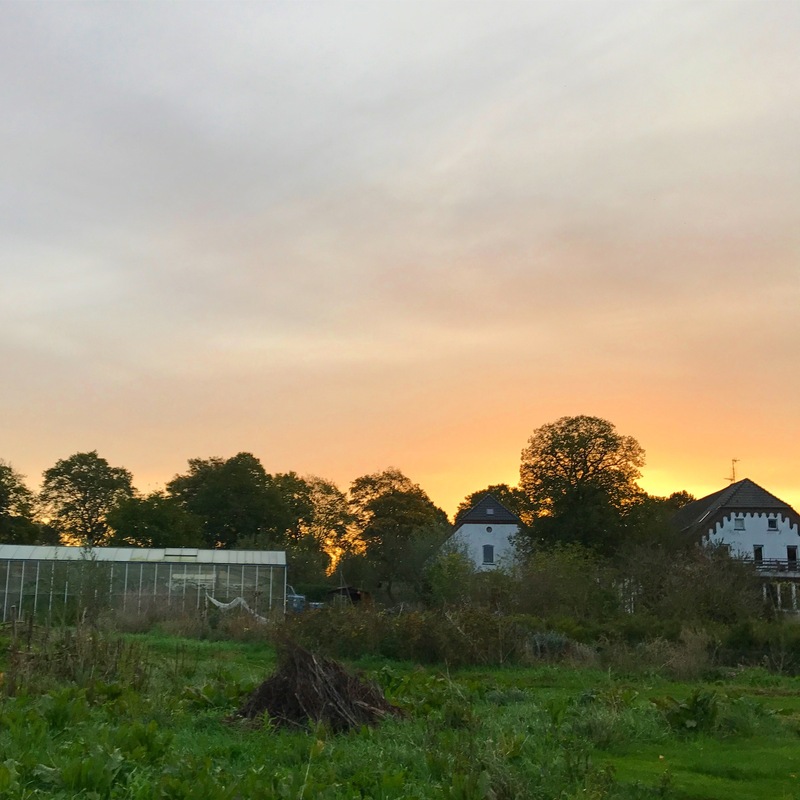 I left Home to look for other homes all over driven by my intention of giving, I am taking at least one year to volunteer wherever I can be needed and hope to collaborate with many people that are making a change in the world. 1. 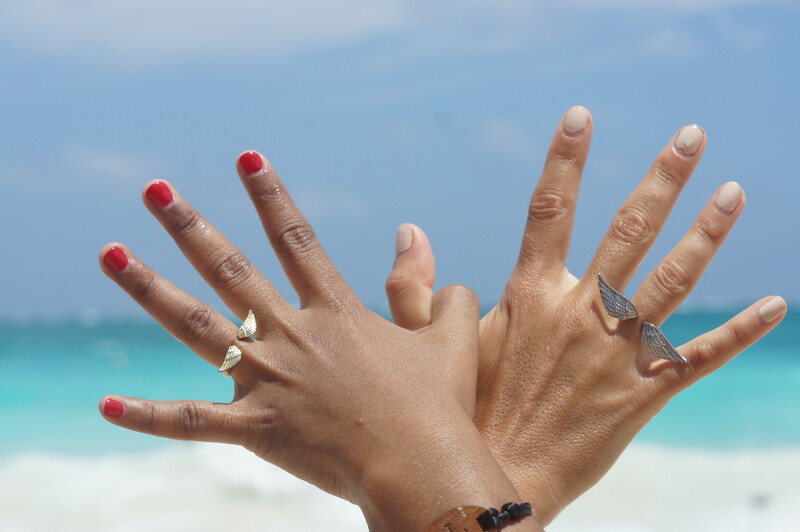 What Jamaica taught me: People are great and the joy to live and love is free. 2. 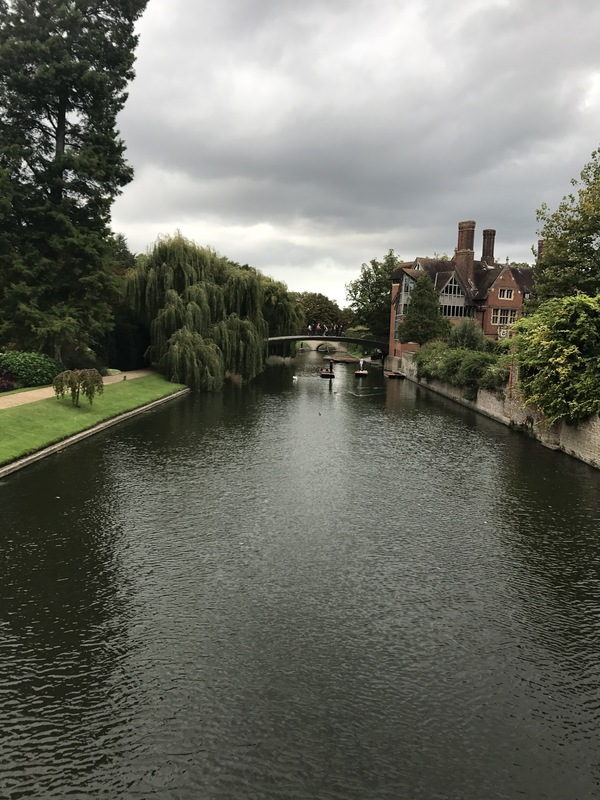 What Cambridge taught me: It’s funny how the mind works, it’s set to get used to things and repeat patterns so as much as you research and plan ahead the right option is always the one your intuition points to. Even if you are a super thorough planner, reality has it’s own twists and turns so always listen to your common sense and intuition e.g. If you see an ATM from your bank and think “I might need some cash” then get it, otherwise you will be trying to get it when you don’t have the time or when you’re not in the place and it will just cost you a lot more and remember pounds are not euros and euros are not usd so check your math. Many times people report the feeling of divine help and strength when they come close to a breaking point. Actually divine help is always there, but I am usually so busy doing things in my own little way that I only look for it when I face absolute defeat. The tranquil nature of enlightened souls comes from their ability to take God’s help constantly. 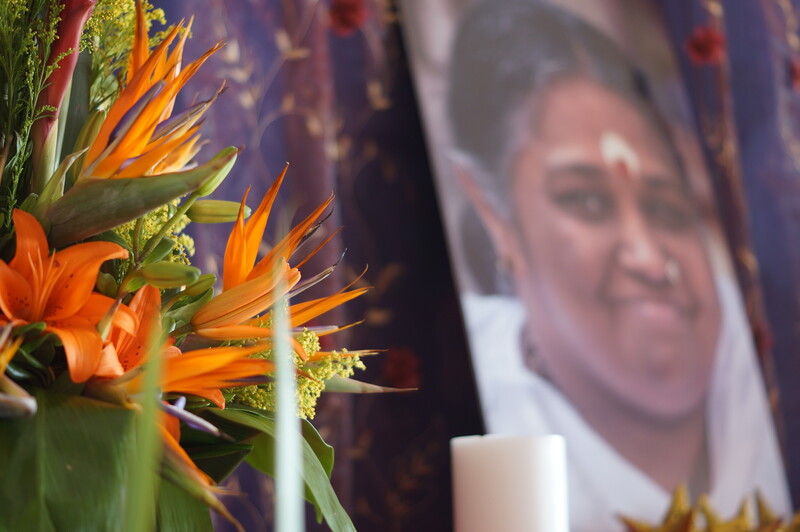 A state of true surrender will lead to the feeling of victory in everything I do. 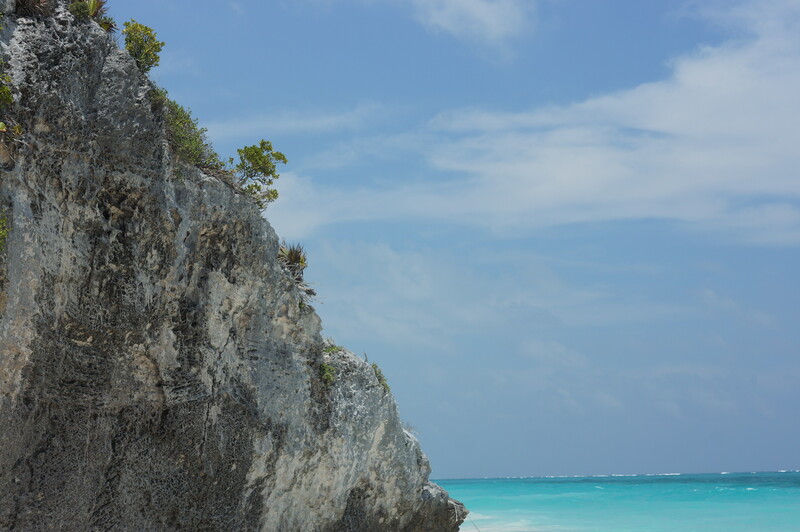 Revisiting Tulum after 12 years was an amazing experience, the first time I went there I was 15 years old and ready to explore the world, Tulum always called for me and I had to answer, I remember I took all of my savings went to the bus station and set out for adventure. My sister was 10 at the time and she was sad I would leave her so I took her with me. We didn’t even have a camera and I was just carrying a bag. I remember she was kind of scared, we almost missed the bus and had barely enough money to pay for it. We ran for the bus station and catched the last call for it, in that time the bus went from Cancun all the way to the mayan town corridor and stopped in Tulum, we drove for more than a couple of hours, in those years the roads were very precarious in Cancun, there were no bridges or even nice pavement, it was a one lane road from Playa del Carmen on to the rest of the state. Unlike in Cancun, the bus didn’t stop in a station, it just stopped in a bumper in the middle of the road and the driver shouted “Tulum” so we rushed to get off otherwise we would end up having to wait for the next town and with no way of coming back. We got off and we were just there in the middle of the road, a couple of handcraft stores and a couple of restaurants. We walked to look for the sign indicating the ruins, we found it and our journey started, walking the dirt road unaware of what we would find. 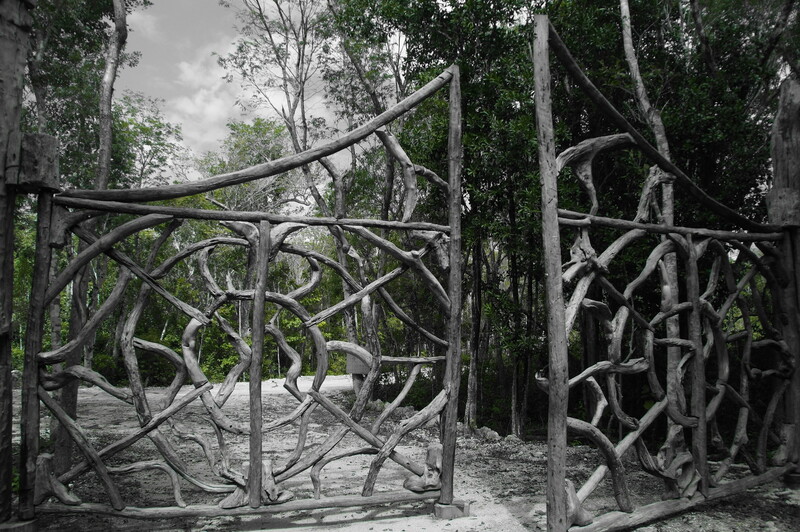 That is one of the beauties of Tulum, it makes you walk up and starts to unveil it’s magic in front of you. Nowadays as you get to the site there are a lot of restaurants and handcraft stores, bathrooms, and many services. 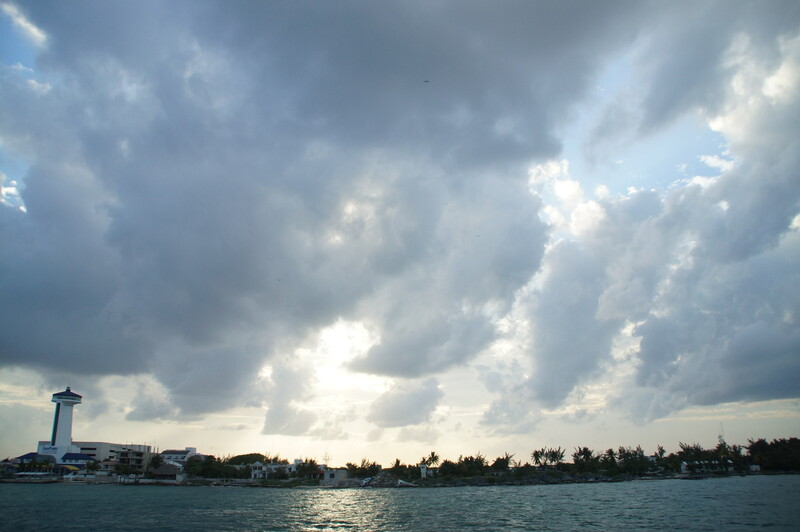 On this visit I brought my camera with me and tried to look at Tulum from a different perspective. Without the comfort of my zoom lens, I just took my 50mm attached and threw my camera in my beach bag. As you go in, the place starts to appear as you move forward. 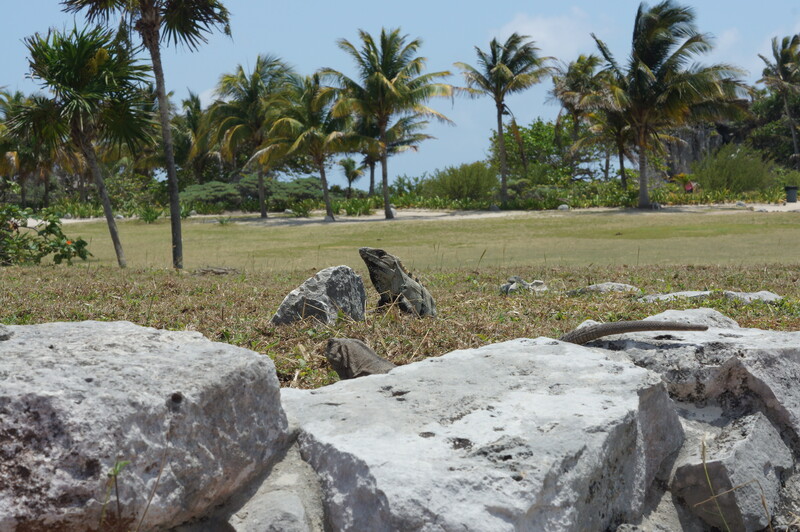 I loved seeing that some of its original fauna still lives there, a lot of Iguanas lay around in all sizes trying to blend with the soft grey stone. As you keep walking you can feel this sacred place was dedicated to Venus and something just vibrates with mysticism. First temples and signs of gods begin to appear. The architecture is very particular, lovely and amazingly well preserved, it stands there in front of you without losing it’s essence. The view is absolutely breathtaking, I remember the first time I saw it, I couldn’t believe it, I didn’t have a camera so I just stared at it trying ti keep that image in my mind, then I went down for a swim, and tried to blend with the place. I just wanted to stay there forever. 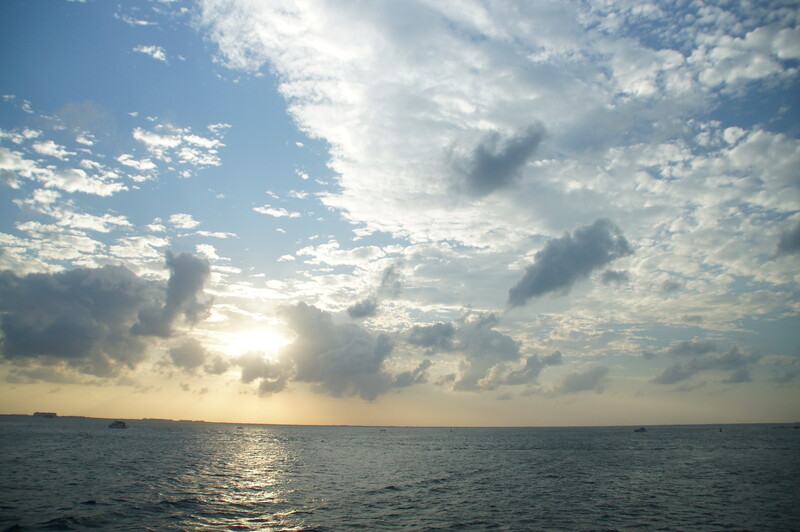 The ancient mayan city was originally named Zamá (Dawn) probably because of its beachside location. 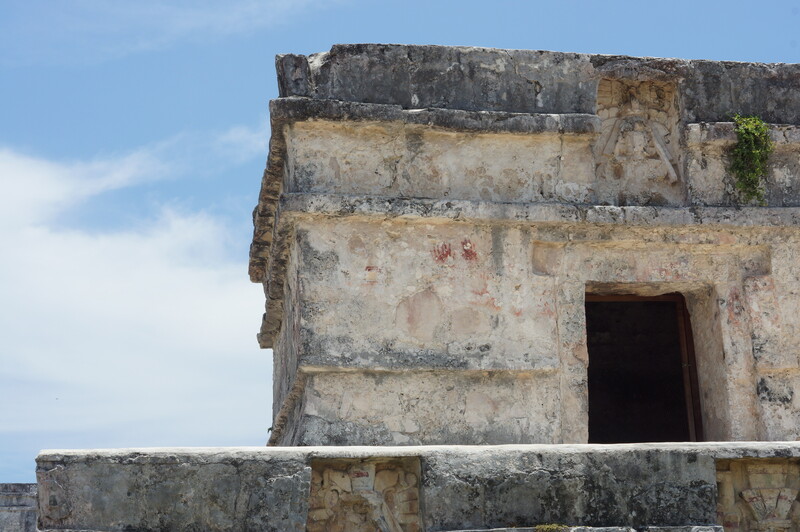 In ancient times it was a very important city for commerce and for religious ceremonies to honor Kukulkan the descending god. 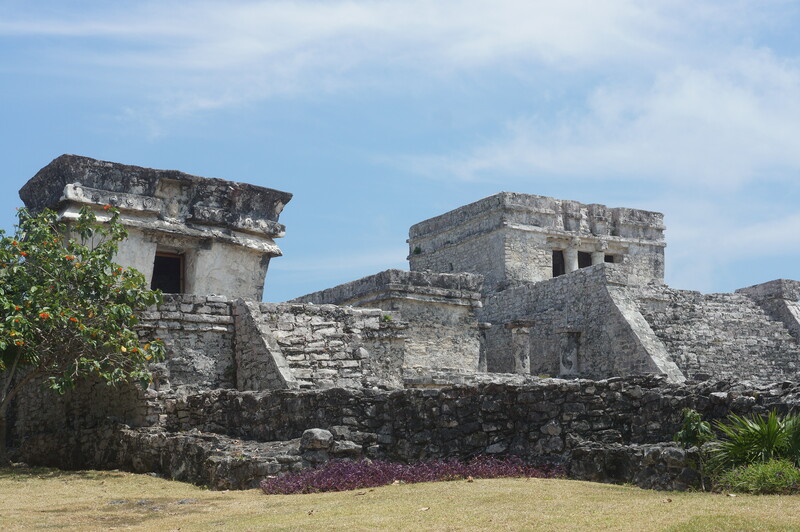 Tulum was still an active city inhabited by mayans when the spaniards arrived to Yucatan and Quintana Roo, but due to the heavy epidemic diseases they brought, the city was abandoned shortly after. 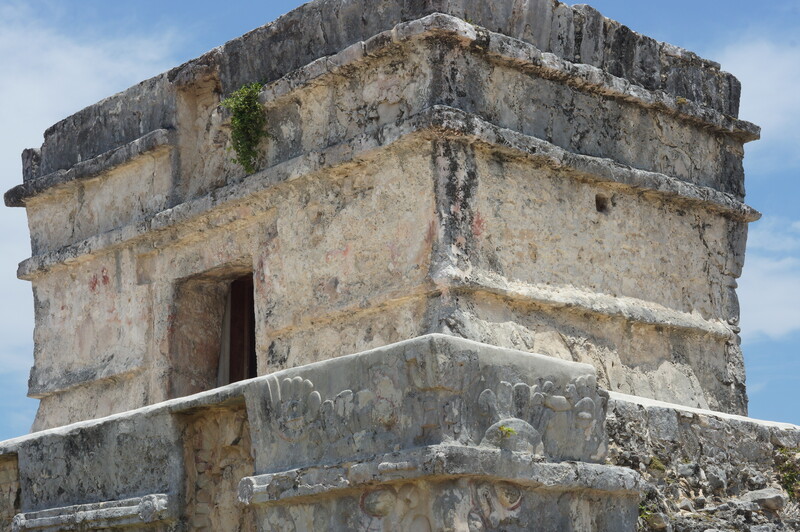 Due it’s amazing landscapes it has been one of the most visited archeological sites in Mexico and because of this, the heirs of the mayan culture that still visited Tulum as a sacred ceremonial place in the XXth Century, have decreased their spiritual activities at the site. 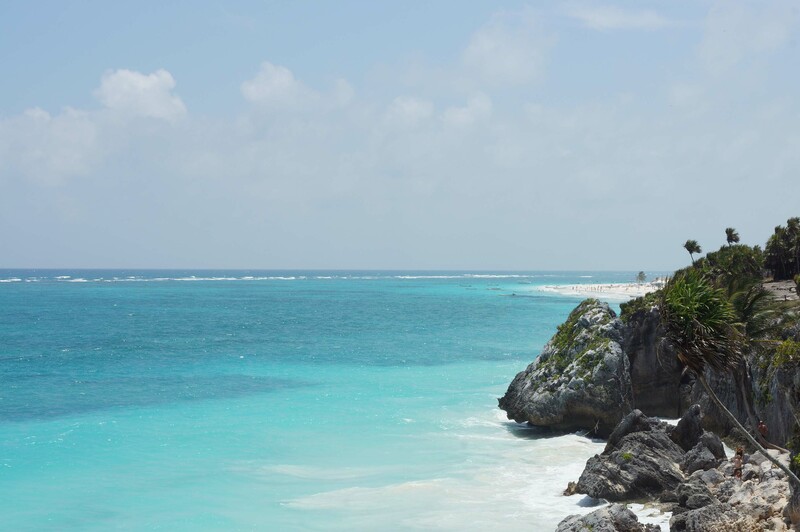 Nonetheless, Tulum in itself both the site and the city have a very clear mystic quality that attracts people from all over the world. This wonderful city protected by the high rocks of the coast and the marine reef was one of the most beautiful cities in mayan culture and a very important reference for sailors and traders in the sea, who took the Castle as a reference to avoid getting caught in the reef. 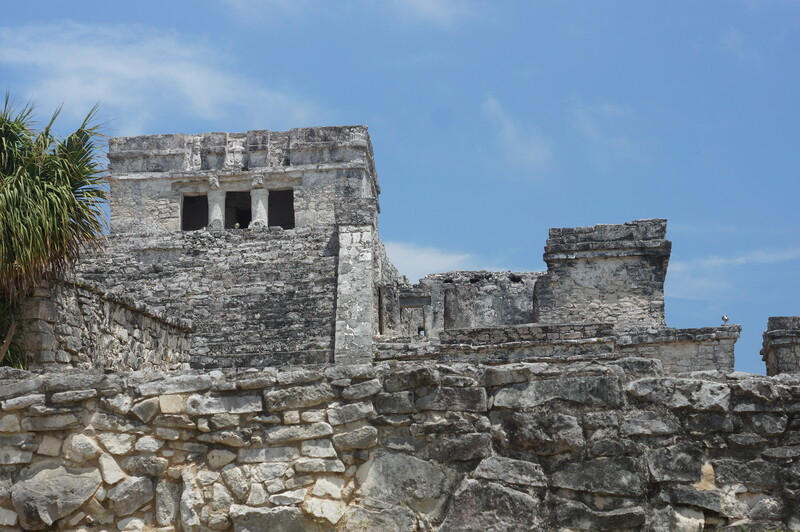 The castle also served as a lighthouse, because of the way it was built, the sun would come across a couple of windows protecting the light into the ocean and guiding mayan traders on their canoes. They also had a hurricane warning system, on the top of a temple there’s a hollow rock they carved facing the ocean, when the wind speed would become hurricane like, the hollow rock acted like a whistle warning everyone. Thanks to Ina and Pazit for sharing it with me and allowing me to visit Tulum again. Sometimes we just have to be wise enough to go with the flow. We have to put our trust in life and let the current carry us. That doesn’t mean we should take our focus off where we’re going. Leave worries aside and you will be surprised by the beauty of the sky and the color of flowers, of the freshness of the breeze and the generosity of the sun. You will feel you are part of creation, and life will start to make sense. The greatest wealth is to appreciate what we have and what we are.